Avez-vous déjà commencé vos achats de vacances ? Il n’y a pas de meilleur moyen de répandre la joie des vacances que d’offrir Kiehl’s. Célébrez toutes les couleurs de Kiehl’s ce Vendredi fou avec des ventes exclusives sur des ensembles-cadeaux de vacances, des produits à édition limitée, des cadeaux pour elle, pour lui et pour tous. 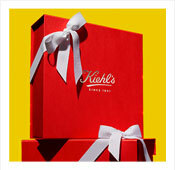 Les offres sont disponibles dans tous les magasins Kiehl’s et sur Kiehls.ca. De plus, la livraison est gratuite pour les commandes de 60 $ et plus ! Avec les offres Kiehl’s Vendredi fou, vous pouvez trouver quelque chose pour tout le monde sur votre liste. Découvrez également nos offres Cyber lundi ! Healthy Skin Essentials for Her A daily routine that deeply hydrates the skin through natural ingredients and unique formulations that will leave your skin smooth and healthy-looking. Head-To-Toe Indulgence This routine is the perfect gift to ensure your skin is left beautifully moisturized from your head to your toes. Travel Essentials for Her Heal your winter skin with the perfect routine to keep your skin hydrated, protected, and healthy looking. Hydration Duo Heal your winter skin with the perfect routine to keep your skin hydrated. Ultra Facial Trio Experience ultra hydration to keep your skin nourished, protected, and healthy looking. Grapefruit Body Duo Experience smoother skin with our exfoliating body scrub & body butter set. Scented Hand Salve Trio This trio of hand cream will relieve dry winter skin and leave hands feeling soft and protected. Limited Edition Midnight Recovery Concentrate A night time oil that visibly restores the appearance of skin by morning. Limited Edition Calendula Herbal-Extract Toner An effective, alcohol-free facial toner for oily and normal skin. Limited Edition Rare Earth Deep Pore Cleansing Face Mask A face mask that helps to purify skin and visibly minimize pores. Limited Edition Butterstick Lip Treatment A soothing balm infused with a blend of naturally derived oils and butters. Limited Edition Gently Exfoliating Body Scrub Soap A Limited Edition scented scrub soap to cleanse and exfoliate skin.